The AN/ALE-40 Counter Measure Dispenser System (CMDS) provides expendable counter measures stores and dispensing for multiple aircraft platforms. 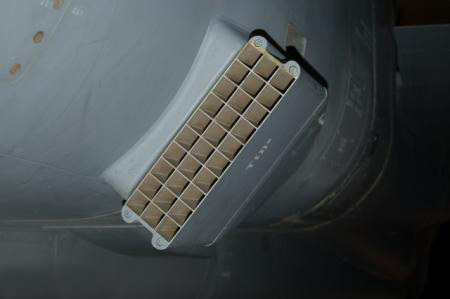 The AN/ALE-40 system is a means by which the pilot can release chaff or flare, depending on the threat type, to counter any homing of a missile to the plane. This is a very simple yet effective system. Chaff looks like millions of tiny strands of aluminum foil and each strip is cut to length to match the various wavelengths of the radar. Using chaff to combat radar was used as early as WWII and still proves very effective against nearly all radar threats. Flares are white hot magnesium that are designed to defeat a missile's infra-red (IR) tracking mechanisms. The AN/ALE-40 Counter Measure Dispenser System was designed to dispense decoys from 2 container attached at the rear end of the fuselage of the F-104G at the 4 and 8 o'clock position. This provided a self-protection for both Radar and/or infrared guided missiles. 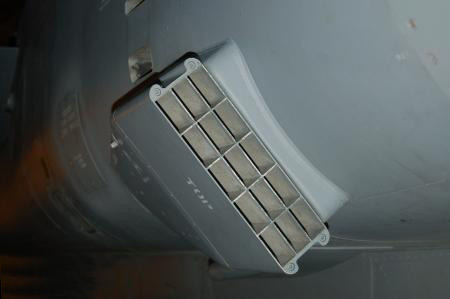 A selector in the cockpit allowed the ejection of the Flares or Chaff cartridges in a Single or Programmed mode. There was a counter for the remaining cartridges on the right console. The Chaff/Flare selector, the fire knob and a control lamp were mounted at various positions. The dispenser is mounted on the lower side of the rear edge on both sides of the fuselage. 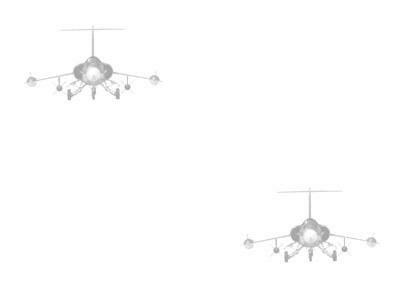 2 systems are carried on the right side a chaff payload and on the left a flare payload. From a distance they look similar, but looking from the rear you can distinguish the two "payload" types. The system base is the same, but the "payload" block of the flare or chaff differs. The flare block has 5x3 loads, the chaff 10x3 loads. The outside dimensions of the whole system are the same. The weight of the system loaded is about 30 kg and the Drag Index is equivalent to 1 AIM-9 Sidewinder. 21+13 (construction number 6662) was selected as trial aircraft and was transferred to MBB on January 29, 1979 to MBB, the installation and modification at MBB started on February 21, 1979. Initially ErpSt 61 made 8 flights to test the stability and performance through the full flight envelope. In the second period all modes of the dispensing system and the effectiveness was tested. These tests were flown at MFG 2 at Eggebek. Luftwaffenschleuse 11 of LVR 1 (Luftwaffenversorgungsregiment 1) added the AN/ALE-40(N) Chaff/Flare countermeasure dispenser equipment to the remaining 48 aircraft of MFG 2 according to tech order TA-1469. 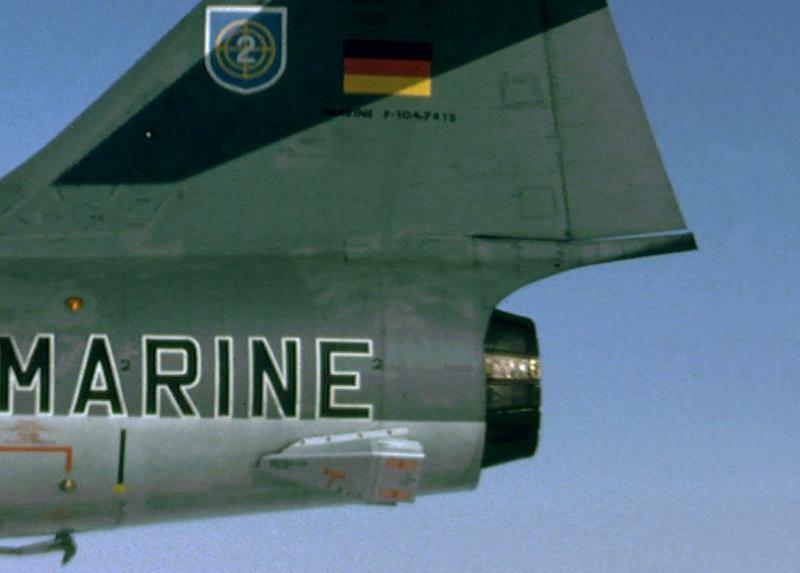 Luftwaffenschleuse 11 started the modification of the pattern aircraft from MFG 2 on March 9, 1982. The installation of the components was completed on May 11, 1982. In 1982 16 aircraft were modified, in 1983 24 aircraft and in 1984 the remaining 7 aircraft. 80 trial sorties were flown prior to the release by BWB on July 3, 1984. On June 19, 1984 was the official handover ceremony of the last modified Starfighter.